Discussion in 'B4R Questions' started by Erel, Jul 20, 2017. 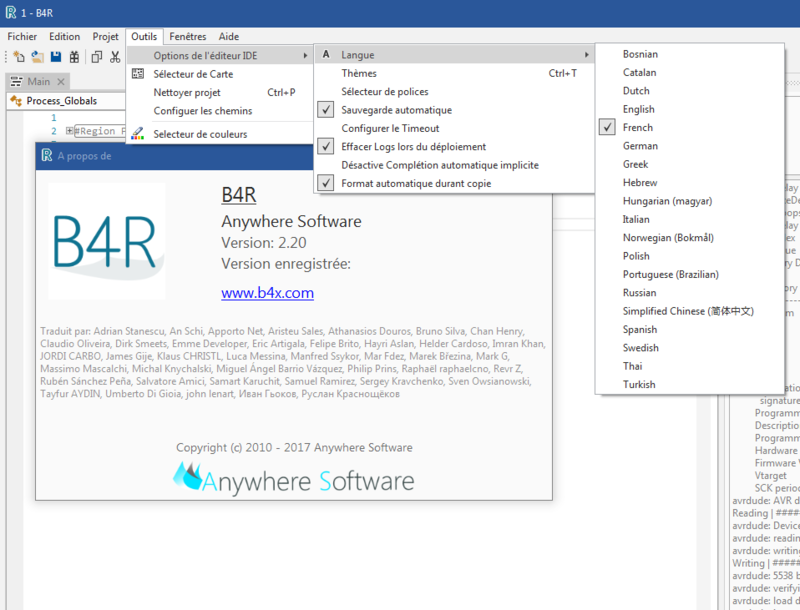 I'm happy to release B4R v2.20. The IDE is now localizable. A big thank you to all the translators! SD.Remove / Exist are now supported by ESP8266. The compilation window position change done in the previous version was reverted. Johan Hormaza, Pendrush, XbNnX_507 and 9 others like this.